Seattle Sailing Club carries an excellent selection of the highest quality sailing gear, an absolute necessity for any Puget Sound sailor. We carry Gill, Dubarry, and Mustang Survival gear and accessories, as well as, a variety of sailing books, charts, cruising guides, and navigation tools. Our Pro Shop is located in our office at Shilshole Bay Marina. Our online store: shop.seattlesailing.com is a great place to start browsing our selection and shopping for your sailing needs! In 1980, when Gill began manufacturing sailing gear, their primary purpose was to create a fabric that protected against the wind and find a way to make zippers less bulky. Right after they produced their first line, they were asked to be the primary supplier of the British America’s Cup entry “Lionheart”. 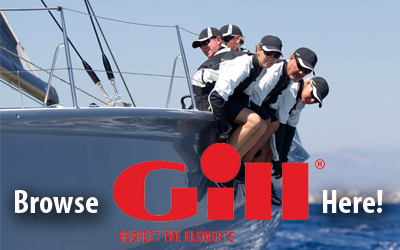 Today, Gill is a brand sailors know and trust. Their technical advancements throughout the years prove their knowledge of the elements and have led them to create products that efficiently protect boaters from the heaviest marine conditions. Seattle Sailing Club has first hand experience using Gill gear on the Puget Sound. Our staff, instructors, members, and students are confident that Gill considers every aspect of marine wear when manufacturing and updating products. Our personal experiences prove Gill products offer top of the line protection, durability, comfort, and longevity. Gill OS2 Offshore Jacket & Trousers stand up to the toughest offshore and coastal conditions. Designed like traditional sailing jackets and trousers, the OS2 is 100% waterproof and breathable. The jacket’s high collar is great for those colder and windier Fall, Winter, and early Spring days on the Puget Sound. The Trousers have a cargo pocket and a dropseat (side zip) on the women’s style. SSC Members love the protection this line has to offer when cruising the Puget Sound. 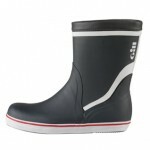 The simple, yet efficient, style of Gill’s Short Cruising Boots keep your feet dry and comfortable. Non-slip, non-marking soles keep the sailors on board and the deck clean. These boots offer the best protection in the elements. 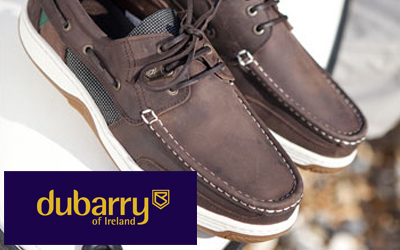 Dubarry’s sailing boots and deck shoes have been trusted by sailors worldwide since 1937. Their first sailing boot, the Shamrock, was the first-ever GORE-TEX® lined and waterproof sailing boot in the entire world. From there, their creation of the Ultima and Newport sailing boots have followed. Seattle Sailing Club knows first hand how waterproof and durable Dubarry boots are. Along with their incredible sailing boots, Dubarry also designs traditional looking deck shoes and aquasports. Their Helmsman deck shoe is GORETEX® lined and has a very traditional deck shoe design, while their aquasports are a more contemporary, light weight design with the same durable, non-slip non-marking sole. Over the years Dubarry has built an extraordinary reputation worldwide for excelling in the design and manufacture of footwear that marries tradition, technology, style, comfort, and function. Dubarry is placed at the top of the marketplace as innovators, leaders, and above all, a trusted and respected brand. 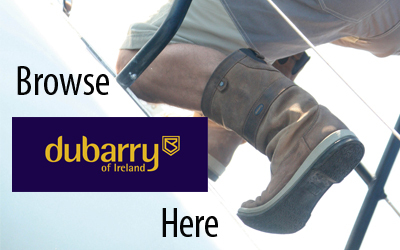 Dubarry Ultima Sailing Boots are all leather, waterproof, and breathable. The durability and longevity of these boots is incredible. Their soles are non-slip and non-marking, while their GORETEX® lining keeps your feet warm and dry. Dubarry Women’s Crete Deck Shoes are designed with Dubarry’s award winning NonSlip-NonMarking™ outsoles providing excellent stability and comfort on and off the boat. 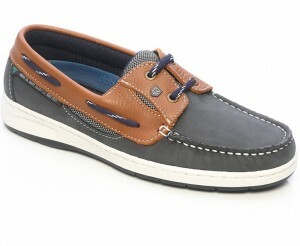 Dubarry Regatta Deck Shoes are made with Nubuck DryFast leather with a non-slip, non-marking sole. 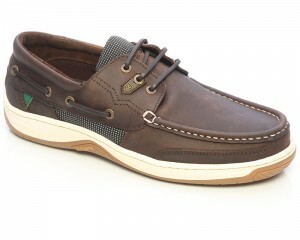 Their comfort, support, and durability make them some of the best deck shoes out on the market. 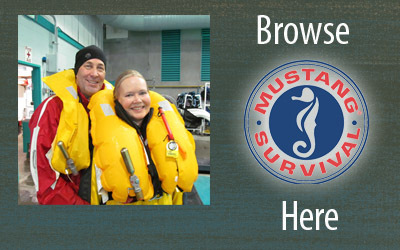 For over 45 years Mustang Survival has been designing marine safety equipment. In the beginning, they focused on designing safety equipment for professionals in the Coast Guard, commercial fisherman, and military professionals. 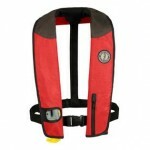 Now they manufacture safety equipment for recreational use and their standards in safety design have not changed. 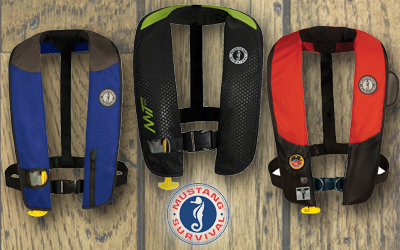 Seattle Sailing Club is proud to sell Mustang Survival Inflatable PFDs and we trust in their ability to put safety first. A premium product at an affordable price, Mustang’s MIT is easy to wear and inflate. 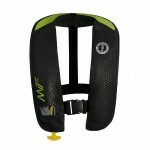 Providing 26 lbs of buoyancy, this PFD is great in mild sea conditions. 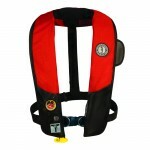 The Deluxe Inflatable PFD includes enhanced safety features and incredible comfort for all day wear. Providing 35 lbs of buoyancy, the Deluxe PFD will keep you above water in rough conditions. This award winning PFD is designed for serious users. With 35 lbs of buoyancy, the H.I.T. provides excellent safety and is built for use in severe weather. The H.I.T uses an Auto Hydrostatic inflation system.